Jaymin Kessler, a senior engine programmer and low level enthusiast on the Q-Games tech team. I am not an expert in any of the stuff I will be posting on. I’m just figuring it all out as I go along. A for-fun learning project where I try to make my own “console” by writing a real time game OS, GPU driver, SDK, and dev/debug/profiling tools for a Raspberry Pi 2B+ system. Coming hot off the heels of the extremely** successful*** JayStation rollout****, I began thinking about what I wanted to do for my next project. I had it in the back of my mind that I wanted to go lower level, writing my own realtime game OS and GPU driver, but had no idea what hardware suited what I pictured the project becoming. 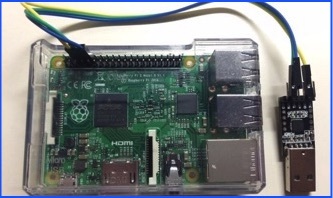 That is until a coworker suggested Raspberry Pi 2, a quad core ARM Cortex A7 system that was too fun to pass by. Why write an entire OS in ARM assembly? Working on it. I have all the documentation and I am predicting a very tedious, difficult, and utterly thrilling ride. In the beginning all you need is a Raspberry Pi 2B+, MicroSD card and reader/writer, and a micro USB cable like the one the Orbis DualShock4 uses to power the system. Later on you’ll need a serial to USB adaptor for the UART and an HDMI cable. That is the public repo. Every few months I copy stable features over there from my private repo. What are you planning for JayStation3?